Programs available Sundays at 9:30am, 11:30am for nursery through 5th grade. Sound biblical teaching by pastors and dedicated volunteers from our congregation. Intergenerational, integrated worship. Our children’s worship and prayer is no less significant or less genuine than our own, we celebrate coming before the Lord together as a family. Community involvement. You might have heard it takes a village. We have a goal that for each child we would have five adults dedicated to praying for their growth. Your partnership. One of our tenets is parent involvement. 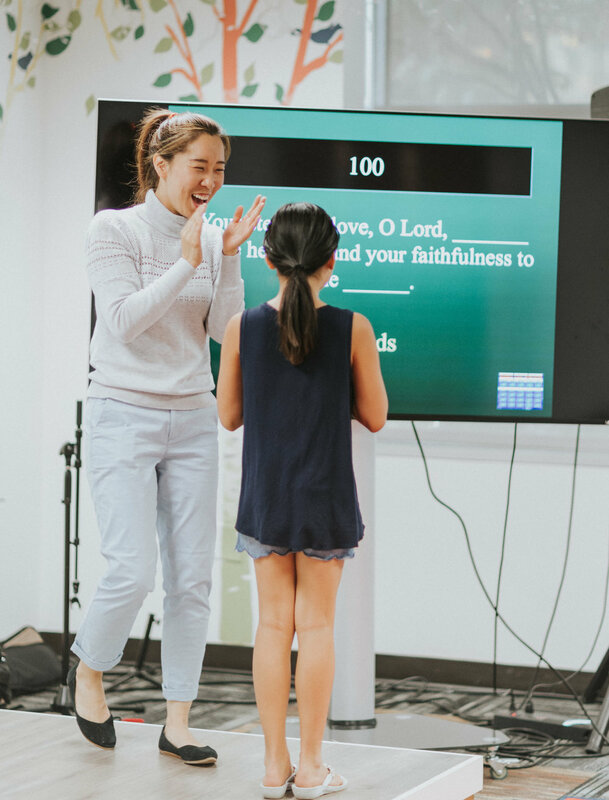 We strive to promote family worship and that starts with equipping parents to take an active role in the spiritual development of their children. Your child is important to us. On your first visit, we’ll collect the following personal information: parent/legal guardian name(s), child name and birthdate, address, contact number and any special instructions (allergies, special needs). This information is entered into our NL-Kidz database and used for future check-ins and for us to offer the best care for your child. Your child’s safety is our first priority. All NL-Kidz volunteers pass a background check. We use a security tag system for child check-in and pick-up, and a paging system for parents/guardians in case we need to reach you during the worship experience.